April 3, 2016 -- Links International Journal of Socialist Renewal reposted from Climate and Capitalism -- Five hundred Toronto-area supporters crowded into a west-end school auditorium March 29 to support the Leap Manifesto, launched early this year in support of a rapid, “justice-based” energy transition to a renewable economy. 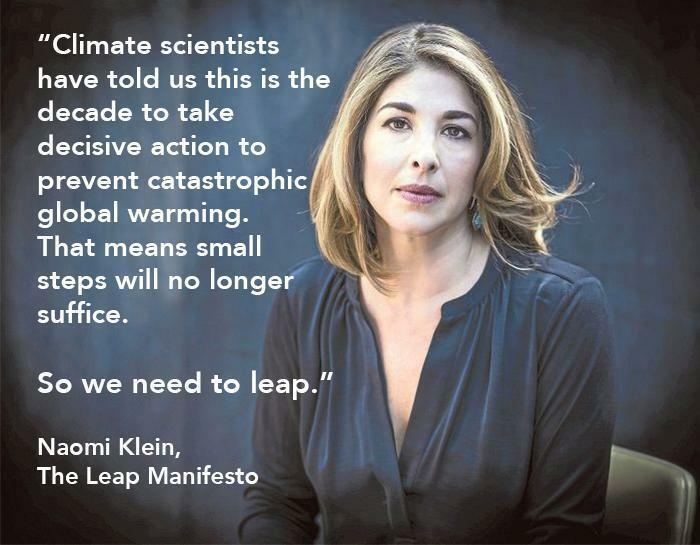 The movement was launched in January 2016 to popularize the ideas of Naomi Klein’s influential book on climate change, This Changes Everything. Klein pointed to the need for a mass social movement addressing both the urgent need for climate action and an agenda for social justice.